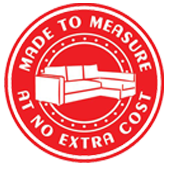 Sofa Bespoke are committed to protecting your privacy. We conform to the requirements of the Data Protection Act 1998, and comply with all UK data protection laws. We do not store our customer's credit or debit card details. Whenever you pay for products purchased on our website, you will enter your credit or debit card details onto a Pay Point (PayPal) page instead of on the Sofa Bespoke webpage. Your personal information will not be sold or given to any third party except for the purpose of processing your order. We may, from time to time, contact you by e-mail, post, fax, or phone to provide you with latest details regarding our products and services. Whenever you purchase products on our website, your credit/debit card details will be encrypted and processed using Pay point (PayPal) which uses a server that is PCI DSS (Level 1) compliant.